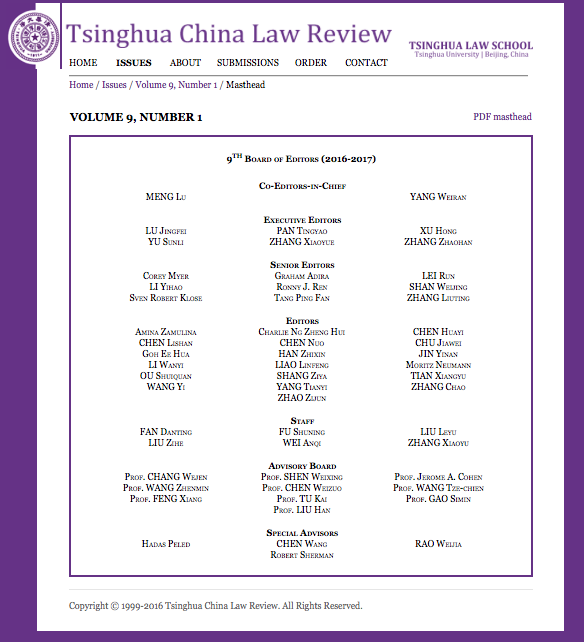 "Transparency versus Stability: The New Role of Chinese Courts in Upholding Freedom of Information"
Abstract: This paper explores the inconspicuous but increasingly important role of Chinese courts in handling the often conflicting goals of promoting government transparency and maintaining social stability within the Party-state context. The Regulation on Open Government Information created an unprecedented right of access to information with the potential for improving administrative accountability, but established a peculiar exemption of social stability. 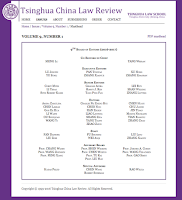 “Stability maintenance” has long been an overwhelming political task for Chinese state organs, and has profoundly affected legal practices, posing a challenge to judicial control of abuse of the aforementioned discretionary exemption. Added to the challenge is the obscurity in the standards for judicial review of discretion. The paper reviews how the courts respond to this challenge by focusing on representative cases concerning government claims that disclosure would endanger social stability. It finds that in referential cases adopted in official publications, the courts have developed creative approaches to scrutiny. However, other sources indicate that meaningful review is largely absent from cases involving appropriations of private properties and those concerning large-scale maladministration. It argues that the judicial inaction can be attributed to two concerns underlying the common practice of the stability maintenance system, i.e. containing collective mobilization and inhibiting expression of public mistrust in governance. The courts demonstrate their ability in judicializing the political concept of social stability in the context of right to information, and thus assume more than a deferential role in the politics of stability maintenance. Nevetheless, they remain captive to the imperative of securing core regime interests. The liberalization implications of transparency reform are hence minimized through the judicial process. Click here to read the full article.